We review the current state of research on the construction of effective actions in supersymmetric quantum field theory. Special attention is paid to gauge models with extended supersymmetry in the superfield approach. The advantages of formulation of such models in harmonic superspace for the calculation of effective action are emphasized. Manifestly supersymmetric and manifestly gauge-invariant methods for constructing the low-energy effective actions and deriving the corrections to them are considered and the possibilities to obtain the exact solutions are discussed. The calculations of one-loop effective actions in N = 2 supersymmetric Yang–Mills theory with hypermultiplets and in N = 4 supersymmetric Yang–Mills theory are analyzed in detail. The relationship between the effective action in supersymmetric quantum field theory and the low-energy limit in superstring theory is discussed. Original Russian Text © I.L. Buchbinder, E.A. Ivanov, N.G. 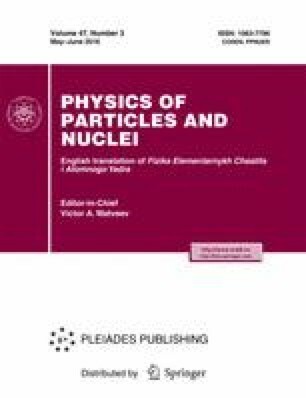 Pletnev, 2016, published in Fizika Elementarnykh Chastits i Atomnogo Yadra, 2016, Vol. 47, No. 3.